St. Paul’s The Happy Gnome lives up to its reputation once again as a top craft beer destination, notching its fifth straight Kind-of-a-Big-Deal award in the best craft beer bar category. 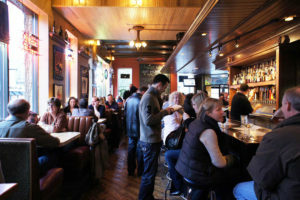 Few places match the Gnome’s cozy atmosphere, superb beer list, and knowledgeable staff pouring pints behind the bar. Roseville is doing it right with Grumpy’s. 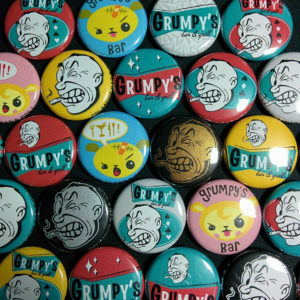 From bingo to karaoke, there’s always something brewing at Grumpy’s. 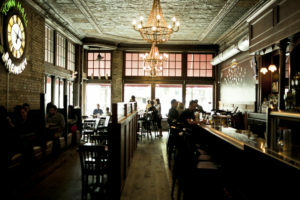 But more importantly, this bar houses 35 beers on tap, plus wine, cocktails, and specialty drinks that await you, which is why you voted it as the best in the metro. Beer drinkers and barflies have come to a decision: Sir Benedict’s is Greater Minnesota’s destination for craft beer. 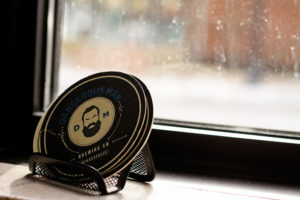 With an English pub atmosphere, views of Lake Superior, live music, and over 20 beers on tap, plus cans and bottles, it’s no wonder why this watering hole is the perfect place for a pint. 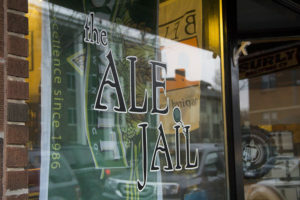 The newest releases, the hard-to-find one-offs, the special collector’s items—if there’s a beer you need to track down, chances are the guys at The Ale Jail have a line on it. 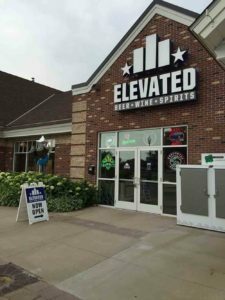 From our Minnesota favorites to international bottles, White Bear Lake’s Elevated Beer Wine & Spirits has something for every kind of beer drinker. 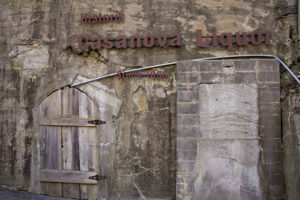 And the locals love taking advantage of creating their own six-pack, for this shop houses upwards of 500 single craft beer bottles. No, it’s not technically in Minnesota, but this bottle shop has sewn itself into the very fabric of Minnesota’s beer scene. So much so that Growler readers nominated and voted for it as the best bottle shop in Greater Minnesota. And with its incredible selection of six-packs, 750s, and single bottles, it’s very well-deserved. 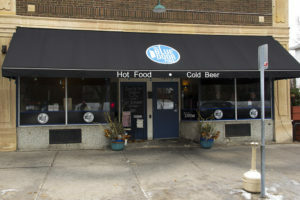 Double your pleasure, double your fun with two happy hours a day at Blue Door Pub. Need an afternoon pick-me-up? 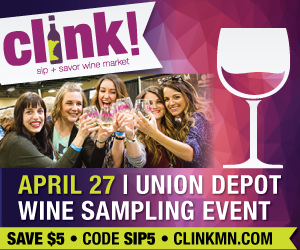 Sip on $3 tap beers or $6 wines. And whether it’s midday or late night, both happy hours will gladly dish out tater tots, hand-cut fries, and fried pickles. 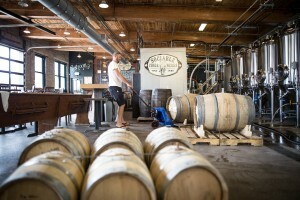 Sure, the brewers are the rock stars, but far too often we overlook the beertenders that become the face of a taproom. 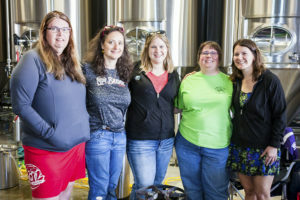 But Lift Bridge has a taproom manager who proudly takes center stage as a knowledgeable, easy-going source for beer guidance: Jennifer Proesel. In Jennifer, we trust. With a mantra of “Brew. Drink. 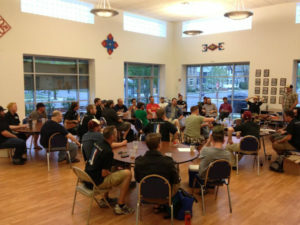 Repeat,” the Nordeast Brewers Alliance advances the cause of craft beer with educational sessions, tastings, brewing Q&A, and beer-centric events to be more informed drinkers and to better their brewing status. Surly Darkness 2017 // Photo courtesy Surly Brewing Co.
Darkness 2017 beams brightly with an award for Adam Sward’s label work. The local tattoo artist and illustrator depicted the horrifying witch of Slavic folklore, Baba Yaga, and her fantastical (and creepy) chicken leg house. 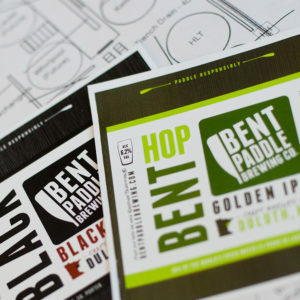 It’s the goal of Bent Paddle to “bend the tradition” of what people expect from their beer. The Duluth brewery has been sourcing 100 percent of their water from Lake Superior since their opening in 2013, and they continue to lead their beers in both reliable quality and identity. The first production brewery to open a taproom in Northeast Minneapolis, Indeed has created a unique space that’s warm and inviting. With the exposed brick and wood finishes of the Solar Arts Building, it’s a perfect space for friends new and old to relax and enjoy a beer over a game of cribbage. 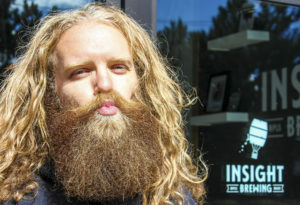 For many in the brewing industry, every month is a no-shave month. And for Matt Anhalt at Insight, foregoing the razor has produced winning whiskers, as Growler readers have crowned him as the fairest of them all. Joe means serious beer business. Just take a look at his hands. 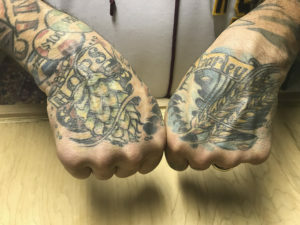 Barley inks a presence on his left hand, while a big and bold hop cone adorns his right, giving him first prize for best beer tat. This cidery started from a garage with a vision: to produce high-quality, carbonated, dry ciders made from actual Midwest apples, not the sweet made-from-concentrate stuff sold in the grocery store. They’ve become a Northeast jewel where many flock to enjoy an array of delicious ciders and, well, be sociable. 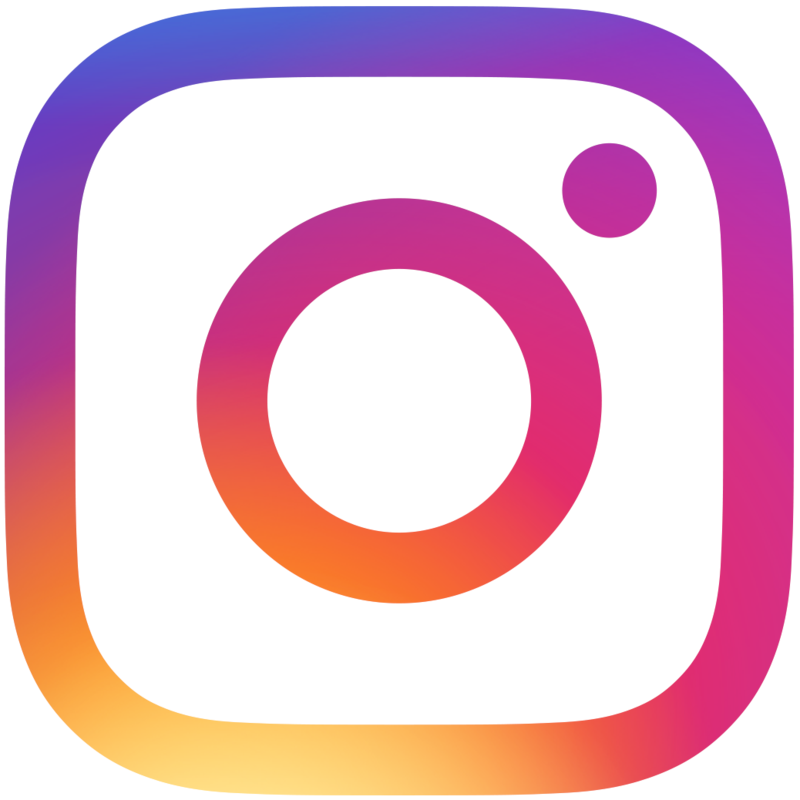 Celebrating its 20th anniversary this year, Town Hall Brewery proves that in the midst of a swirling vortex of new breweries and off-the-wall IPAs, brewing quality beers to style is a winning formula. The stalwart brewpub is one of Minnesota’s most decorated breweries, and this year they’ll add the best brewpub award to their mantle. 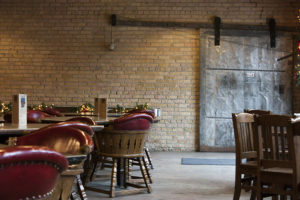 When Barrel Theory opened in Lowertown St. Paul this summer, expectations were high. But with a steady stream of juicy IPAs and one-off recipes, Barrel Theory has wowed our readers, who voted them this year’s best new brewery. They may be dangerous, but there’s no pretension to be found among the folks at Dangerous Man. 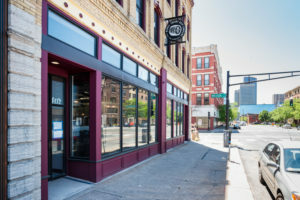 Built in an old bank in Northeast, this brewery has been pushing the envelope since day one with brews like the nutty crowd favorite, Peanut Butter Porter. They may be out-of-towners, but Deschutes is a warm-welcomed guest to Minnesota. Black Butte Porter, Mirror Pond Pale Ale, Jubelale, we’ll take those Oregonian brews any which way. Crisp and clean, perfect after a paddle or with any type of food, Bent Paddle’s Venture Pils is a textbook example of a Pilsner, and it’s your favorite lager in the state. It’s all that bitter brash Surly attitude in a lighter, more refreshing package. Xtra-Citra is our go-to spring beer, and it’s your choice for best session beer in the state. Fair State’s Hefeweizen is a traditional Bavarian-style wheat beer packed with notes of banana, clove, and vanilla notes from the yeast. 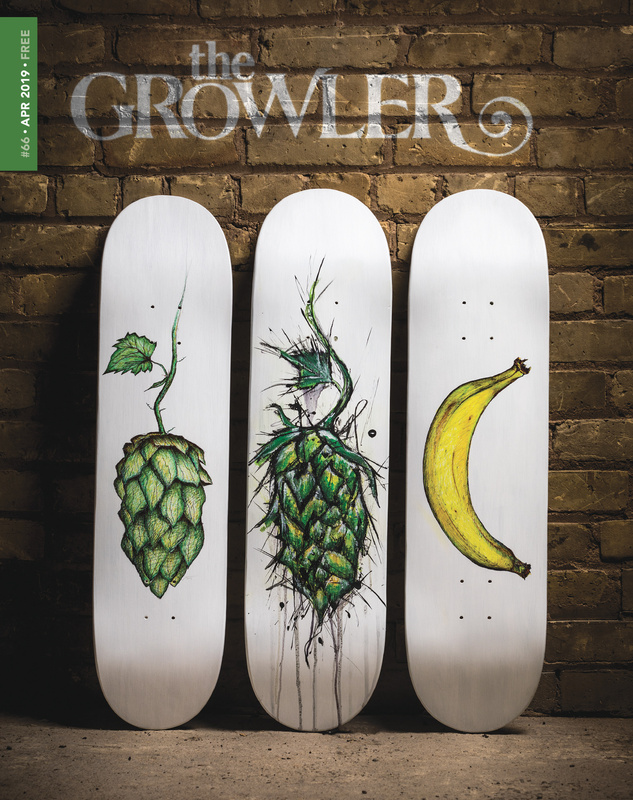 And while no bananas were harmed in the brewing of this beer, Growler readers are going bananas for this hefe. There’s something to be said for the “every day” beer. The Stillwater brewery’s take on a saison is the quintessential easy-drinking crowd-pleaser. With light saison esters, a mildly peppery profile, and just a hint of tartness, Farm Girl is your favorite Belgian-style beer. Four pounds of hops per barrel + a dank and citrus-laced aroma + complex and subtly sweet malt backbone = your choice for best American pale ale, aka Indeed Day Tripper. This year has been extra sweet for Bent Paddle’s 14° ESB. First, they won a gold in the extra bitter category at the Great American Beer Festival this past October, and now they’re taking home a KOABD award for best British pale ale. and lingering sweetness, this blonde beauty is a standout. The Axe Man cometh, rising to the occasion once again as the best IPA. Bright, bold, and bitter Citra and Mosaic hops act as the stars of the show, while an underlying sweetness makes a guest appearance from the Golden Promise malt. Fans are hooked. Though very limited in release, Raspberry Roselle has left a lasting impression on our readers, who voted for it as this year’s best fruit beer. The tart berry character adds a new depth of flavor to Fair State’s sour ale made with hibiscus. While Indeed’s autumn seasonal is officially being retired this year, Growler readers are sending Yamma Jamma off in style with its fifth straight award. Brewed with sweet potatoes, a blend of spices, and vanilla, Yamma Jamma is again your choice for spice/specialty beer of the year. Originally created as the second beer in the brewery’s LÄCTOBÄC series, Roselle has proved so popular it’s made its way into Fair State’s canned lineup. This kettle sour is infused with hibiscus leaves at flame-out, lending the beer its rosy tint and floral aroma. Cherries, oak, and microbes work together to transform red ale into something worthy of this year’s spontaneous/wild beer award. Cherry Dust is a blend of Indeed’s wood-aged red ale that has aged for one to two years, and then finished for three months on tart cherries. This crowd favorite is a perennial favorite in the Kind-of-a-Big-Deal awards, and for good reason. Nutty roastiness blends with creamy peanut butter and light chocolate for a satisfying sip that recalls the best flavors of childhood. In the face of big, boozy barrel-aged imperial stouts, Dangerous Man’s Chocolate Milk Stout shows that a straightforward, easy-drinking milk stout can rise above the rest of the pack. It’s dry, refreshing, and (technically) not traditional, but the flagship graff from Sociable Cider Werks is your favorite cider of the year.